Nicknamed “the Rock,” Memorial Stadium has been the home of the Hoosiers for over half a century. 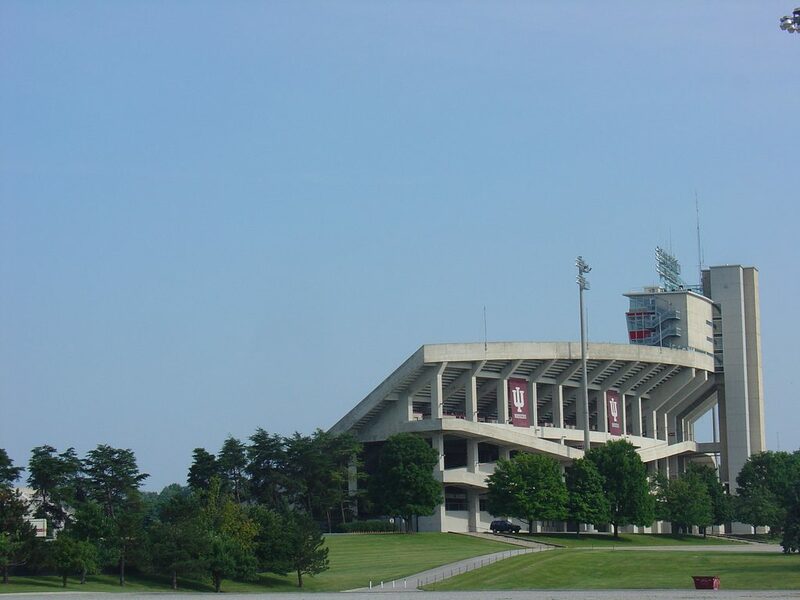 In the late 1950s, Indiana University decided to build a new football stadium to replace the old Memorial Stadium where the Hoosiers had played since 1925. A new stadium was constructed and completed when the Indiana Hoosiers christened Memorial Stadium on October 8, 1960 playing Michigan State. At a cost of $4.5 million the stadium originally had a capacity of 48,000. Throughout the past five decades Memorial Stadium has changed little. In 1986, $4 million was spent renovating and improving the stadium. Two years later the Hoosiers played football under lights for the first time in their history at Memorial Stadium. Prior to the start of the 1990 season, new scoreboards were placed at each end zone. After having an Astroturf playing surface for several decades the team decided to install a natural grass playing field prior to the 1998 season. However, five years later the team decided to remove the grass field and replace it with AstroPlay a new type of Astroturf. It has since been replaced with Fieldturf. Before the 2003 season the press box was renovated and nearly 300 clubs seats and nine luxury suites. 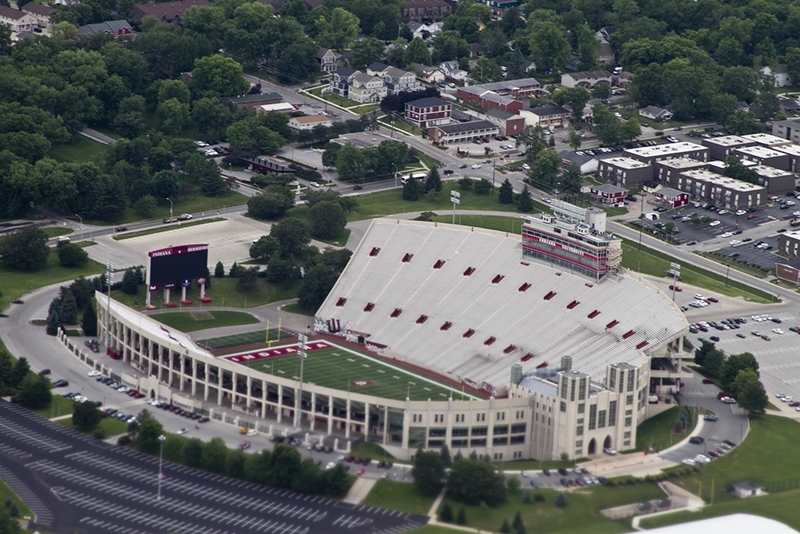 In September 2006, Indiana University announced plans to expand Memorial Stadium. This expansion project was completed in 2009 and enclosed the north endzone increasing the seating capacity to 53,500. A Hall of Champions and an athletic facility was constructed as part of this project. In October 2016, Indiana University approved a $53 million project to enclose Memorial Stadium. To be completed by the 2018 season, this expansion encloses the stadium into a bowl by adding the Excellence Academny. The facility will not only include a new locker room and student-athlete facilities, but includes sports science and medicine research and classroom areas. Additionally new videoboards will be added in both endzones and there will be improvements to concession areas, restrooms, the sound system and seating areas. This project is not expected to change the seating capacity of Memorial Stadium.